Use a wooden tail comb to partition your hair and secure them with clips. Start from the lower layers first and then straighten the upper most layers in the end. A wooden tail comb is recommended because it does not melt due to the high heat where as a plastic tail comb does. For dead straight hair, straighten up your hair at 0 degree; moving along the natural fall of your hair. For volume, straighten up the hair at 90 degree as shown in the above photo. Make sure you move the wooden tail comb along in order to get rid of any tangles. Hair straighteners come for dry and wet hair or both types. 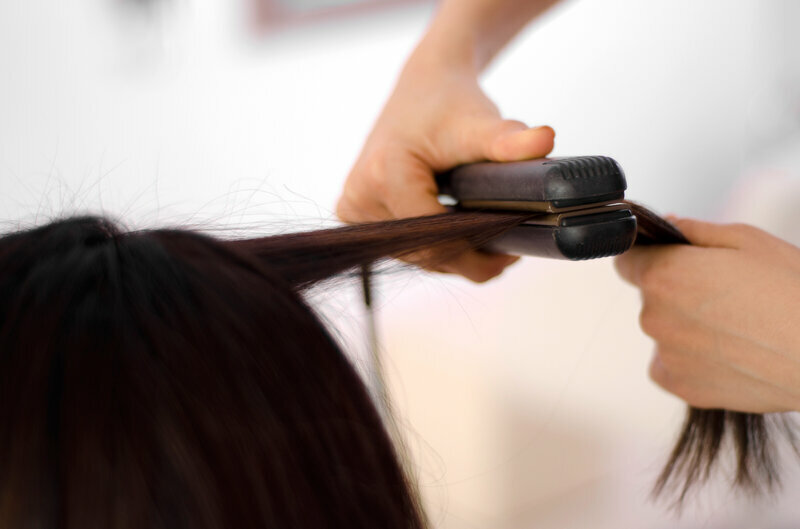 If your hair straightener is only for dry hair, then do not try to use it on wet hair as it will burn the hair. For dry or frizzy hair, use a hair serum or a heat protection spray beforehand. 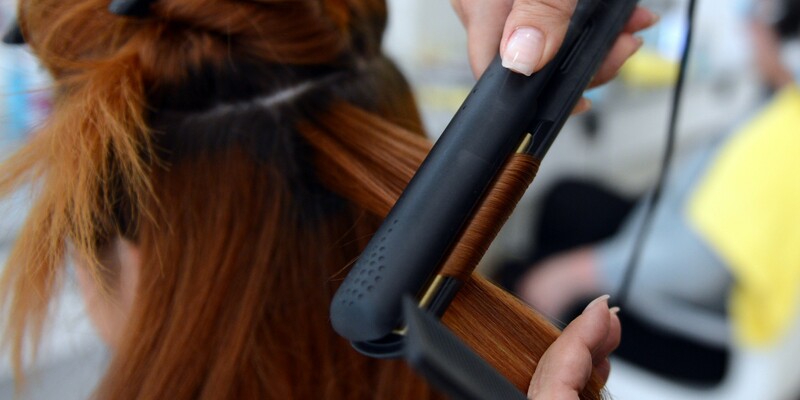 Take a section of hair in the straightener and twist it, then gradually move it downwards or at 90 degrees till the hair comes out of the straightener. Then curl the hair on your finger and secure it with a bobby pin and spray with a hair spray. This will give you long lasting curls. Remove the bobby pins and let your curls down right before leaving. The technique is to remove the bobby pin when your curls have cooled down. For waves, you can brush the curls carefully to form neat waves.